Sometimes I find music that’s so good it hits like a bolt out of the blue. That’s exactly how I felt whenever I first heard Danielle Nicole – the song was “Wolf Den.” I first heard it while still awake in the early morning hours after a work shift while listening to 90.9 The Bridge. Upon hearing her music for the first time, I immediately took notice and thought “Who is this?” I heard powerful, soulful vocals that sounded like Aretha Franklin meets Janis Joplin, which were complemented by chunky bass riffs as thick as Gates Bar-B-Q Sauce. I had to hear more. I’ve seen her live twice, and I bought the “Wolf Den” CD, which was a gem of burning blues with rock edges, and the shows were stellar. When I caught word a second solo album titled “Cry No More” was on the horizon, I knew I had to check it out, and indeed, I pre-ordered it. The album is quality Kansas City blues with a stone cold groove. It’s not a repeat of “Wolf Den,” but it’s not a radical shift away from the sonic ground of that album. Much of “Cry No More” floats on with such a groove, as opposed to the more raucous and rowdy parts of “Wolf Den,” but the sound on this album isn’t watered down or sterile. The first track, “Crawl,” is one for all the scorned hearts. It’s about an ex flame who has done some type of wrong and now wants to come back. The response is for the ex to come back crawling, but you get the feeling this is a taunt, and any love connection that once was is gone. Lost love is a reoccurring theme on the album. The first four tracks on the disc are perfectly sequenced. After “Crawl” is “Going Home.” In 2016, I had the pleasure of hearing a live acoustic version of this song, but the recorded album version with the full backing band packs such a wallop. It starts with a low rumbling stark guitar and drum combo. The guitar is subtle with a tense, haunting reverb and echo that sounds like something from an old Spaghetti Western movie. Then the vocals come in, and the listener is told a tale of deception and break up. A sparkling gem comes in at number three – the song is” Hot Spell” (probably my favorite on this release). Part of what makes the song special is that it’s written by the legendary Bill Withers. The story goes that Withers played a demo version of the song, recorded with his daughter on vocals, for Danielle Nicole and gave her permission to record it. This song caries such an infectious boogie-bop with it – as opposed to love scorned heartbreak, “Hot Spell” is about raw desire. Then comes “Burnin’ For You” the scorching guitar outro is the worth the price of admission alone. At the center of the album is the title track “Cry No More.” It’s a song about a crumbling relationship, but walking out with your head held high. Out of all the songs on the album, this one sounds hopeful and downright happy during some portions. “Baby Eyes” is a stand-out unorthodox track. The song has a lurching, swaying jazzy sound to it, complete with piano accompaniment. The song sounds like it could fit in a Quentin Tarantino movie. It took a while for the song to grow on me, which could be said of the entire album. My initial thought after listening to it was that it wasn’t “Wolf Den.” But it doesn’t have to be. Musicians grow and evolve. 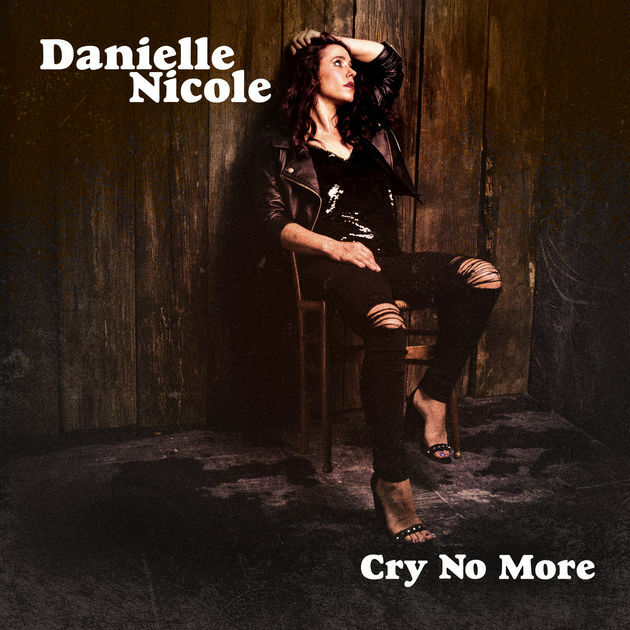 This new release is a testament to the growth of Danielle Nicole. Follow Danielle Nicole Band on Facebook here. The album “Cry No More” is available through most digital outlets by clicking on http://smarturl.it/8x4ezw. Listen to the album below via Spotify. For the latest in arts and entertainment news, follow Central Mo News on Facebook.